"Powerful as well as highly engaging--a brilliant book." It may sound crazy to pay people whether or not they're working or even looking for work. But the idea of providing an unconditional basic income to everyone, rich or poor, active or inactive, has long been advocated by such major thinkers as Thomas Paine, John Stuart Mill, and John Kenneth Galbraith. Now, with the traditional welfare state creaking under pressure, it has become one of the most widely debated social policy proposals in the world. 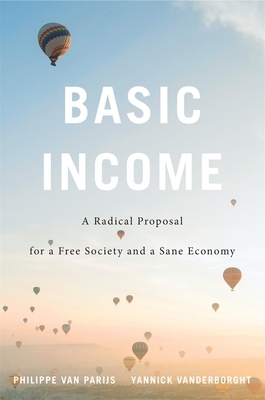 Basic Income presents the most acute and fullest defense of this radical idea, and makes the case that it is our most realistic hope for addressing economic insecurity and social exclusion. "They have set forth, clearly and comprehensively, what is probably the best case to be made today for this form of economic and social policy." "A rigorous analysis of the many arguments for and against a universal basic income, offering a road map for future researchers." "What Van Parijs and Vanderborght bring to this topic is a deep understanding, an enduring passion and a disarming optimism."